A recap of Called to Coach: Singapore Edition with Gallup-Certified Strengths Coach Alex Wong. After discovering his strengths in 2009, Alex said he quickly forgot about them, putting them aside as he went on with his life. It wasn’t until a few years later that he reunited with his strengths when his church began embracing strengths-based development. Alex talked about how we don’t always use all of our top strengths in every situation or setting. He shared an example of a woman who said she was worried because she didn’t use her Relator theme at her job, often finding herself too busy to interact with her peers on a closer level. Alex suggested that she make a more deliberate effort to incorporate her Relator into her workday. Shortly thereafter, she began taking coworkers out to lunch. This gave her greater fulfillment at work since she had found a way to utilize one of her most important strengths in her day. People often find themselves using their strengths differently at home than they do at work. In the example above, Alex’s client used her Relator talents at home, but she didn’t know how to productively apply them when she got to work. Sometimes it’s important find ways to use your “home talents” at work. This can lead to a happier, healthier and more productive life at work. To hear more about Alex and his coaching experiences and expertise, watch the full video above. Alex first discovered the StrengthsFinder 2.0 book in 2009 at a local bookstore. In 2012, his church group explored using StrengthsFinder as a means for developing the leaders in their midst. 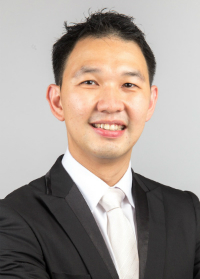 When the first Accelerated Coaching Course arrived in Singapore in 2013, he jumped at the opportunity to become one of Singapore’s first Gallup-Certified Strengths Coaches. Alex’s top five strengths: Empathy | Individualization | Developer | Strategic | Learner.